Distributed manufacturing, alongside 3D printing, will be one of the most disruptive technologies — according to the World Economic Forum, at least. Spurred by technology innovations like 3D printing, the world of manufacturing is increasingly exploring innovative ways to streamline production and meet the ever-changing demands of today’s consumer landscape. Distributed manufacturing is just one of the ways to streamline supply chains and achieve greater sustainability whilst also meeting the demand for greater customisation and faster delivery. So how can distributed manufacturing and 3D printing combine to achieve this? Despite many different terms in use (“decentralised manufacturing”, “local manufacturing”, “decentralised production”, just to name a few), distributed manufacturing can be thought of as the production of goods close to, or at the point of use. Traditional manufacturing is based on the premise of identical, high-volume production. However, such structures are proving increasingly insufficient when faced with the ever-growing demand for customisation, faster turnaround times and more efficient supply chains. The traditional approach to manufacturing sees raw materials sourced and products manufactured in large centralised factories. After production, the products are shipped to the end consumer. Distributed manufacturing, however, turns this approach on its head. Distributed manufacturing involves a digital network of decentralised production sites, spread across locations and connected by digital technology. Driven by digital connectivity, distributed manufacturing allows companies to simplify and minimise their material supply chains through online, digital platforms and data sharing. Distributed manufacturing could even involve producing parts in different locations before being assembled in a central location. While distributed manufacturing will not replace the traditional manufacturing model entirely, it remains valuable for both manufacturers and consumers. Here are a few reasons why. Distributed production can reduce inventory, logistics and production costs in several ways. Since goods are produced close to, or at the point of need, production can move closer to the end customer. This not only eliminates costly logistics expenditure but also allows companies to produce goods close to their respective markets. Additionally, by storing a digital inventory as opposed to warehouses of physical stock, companies can also significantly reduce inventory costs. With the growing demand for customised products, manufacturers must increasingly find ways to tailor their goods to the specific needs of their customers. Traditionally, having a single, custom item designed, manufactured and delivered would mean long waiting times and higher costs for the consumer. However, distributed manufacturing, with its digital, data-driven approach and decentralised, “scaled-down” production, offers greater flexibility and agility to produce customised goods, adding value at a comparable price to mass-produced goods. A good example is Adidas: the sportswear giant has recently opened what it calls Speedfactories in Germany and the United States. These fully automated factories have been created to rapidly produce small batches of personalised sneakers, and according to Adidas, the company is able to bring its sportswear to market three times faster than with traditional manufacturing. While the majority of Adidas shoes are made in Asia, building its Speedfactories closer to consumers in both American and European markets has led to a much quicker shipping and, therefore, a better customer experience. Distributed manufacturing offers the opportunity of rethinking traditional supply chains. Raw materials could be shipped to distributed locations instead of one centralised facility, offering greater flexibility, for example. Another opportunity is moving shipping closer to the end customer, which would impact both manufacturers and shipping companies, who may switch to an “on-demand” production service as opposed to storing physical inventories. In addition to the economic advantages, distributed manufacturing can also have a positive environmental impact. 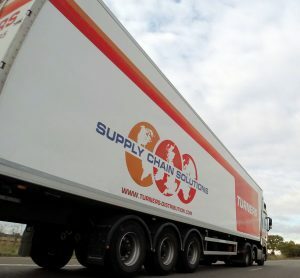 One way in which distributed production achieves this is by minimising the long-distance transportation of products, resulting in the reduction of greenhouse gases emissions. Furthermore, the rising trend in decentralised smart factories could potentially lead to a more efficient use of energy and material resources. 3D printing is one of the key technologies that facilitates distributed manufacturing, alongside the Internet of Things, automation, robotics and data analytics. With 3D printing changing the way many goods are manufactured, here is how the technology is well-suited to the disruptive impact of distributed manufacturing. One of the biggest benefits of 3D printing is that it enables on-demand manufacturing. Thanks to the cost-effective, low-volume production afforded by the technology, localised factories, FabLabs and individuals equipped with 3D printers, can create products when needed and close to the point of use. 3D Hubs is one example. The manufacturing services company links more 6,000 locations (Hubs) in over 140 countries, providing the opportunity to 3D print parts locally and on-demand. Ultimately, 3D printing, alongside distributed manufacturing can help to replace an often inefficient “make-to-stock” with a “make-to-order” model, rethinking the entire concept of warehousing. As a product is made on-demand, it can then be immediately shipped to the consumer, eliminating the need for storage and, therefore, reducing inventory costs. 3D printing is also driving the push towards supply chain digitisation. By using digital inventories with 3D printable files, suppliers may no longer have to store physical parts. Instead, they can choose between multiple local sourcing options, send their 3D CAD files from their digital inventory and have the parts 3D printed in short timeframes. SAP’s Distributed Manufacturing platform is a great example of activating the 3D printing digital thread. Launched in 2017, the platform forms part of the SAP Leonardo system and aims to make 3D printing a ‘seamless part of digital manufacturing’. The platform aims to provide a quick and efficient way for companies to manufacture parts using a network of SAP partners and local 3D printing hubs, thereby optimising efficiency. One company that is is already part of SAP’s Distributed Manufacturing platform is global package delivery company, UPS. Within the delivery and logistics industry, UPS has been an early adopter of 3D printing, with 3D printers installed across many UPS stores to produce models and prototypes. Recently, the company has also jumped at the opportunity to 3D print engineering-grade parts on demand. UPS partnered with Fast Radius to build 3D printing facilities for industrial on-demand production. While keeping much of the operation online thanks to SAP, manufacturers using UPS facilities can reduce inventory costs by producing parts on-demand and, therefore, cutting down on the volume of parts they store in warehouses. Distributed manufacturing is not without its challenges, however. For example, not all products will warrant the distributed manufacturing model — such as many types of consumer goods. In such cases, manufacturers will need to strike a balance between adopting the new distributed manufacturing model, whilst maintaining traditional manufacturing and supply chains. Distributed manufacturing allows companies to take advantage of a cost-effective, localised form of production. Coupled with the benefits of 3D printing, this new approach has the potential to transform material supply chains into a seamless digital thread. As more companies recognise the benefits of distributed manufacturing and more networks are established, the distance between manufacturer and customer will shrink, while product quality and customisation options will only improve. 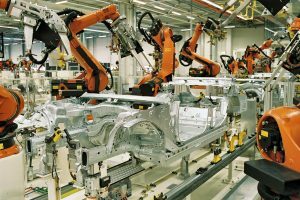 Creating smaller, automated factories with better supply chains will result in minimal lead times, more sustainability, increased business agility and, ultimately, better customer satisfaction. Companies should, therefore, rethink their long-term manufacturing strategies to consider how they become the early beneficiaries of distributed manufacturing and retain their competitive edge.